These fun tube socks by K. Bell will keep you warm and comfy all season long. 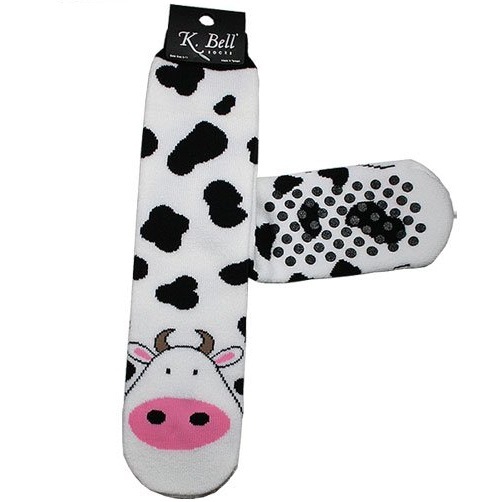 With a cute Cow design, these socks will keep you warm and cozy all winter long. They are a generous 15 inches long and have a non-skid gripper pattern on the sole.Very well constructed of 80% Cotton, 20% Nylon.